Jack Marriott with Rams boss Frank Lampard. Photo courtesy of Derby County FC. Derby County today signed Peterborough United’s prolific striker Jack Marriott. 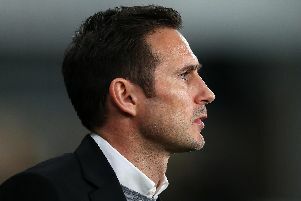 Here, we look back at his career so far and hear from Marriott himself as well as Rams boss Frank Lampard.